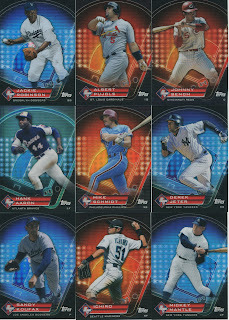 I finally got my grubby mitts on the complete Prime 9 set, the redemption set from 2011 Topps Series 2 baseball. I must say, I am a big fan of the design of this set because it reminds me of old school Finest for some reason. 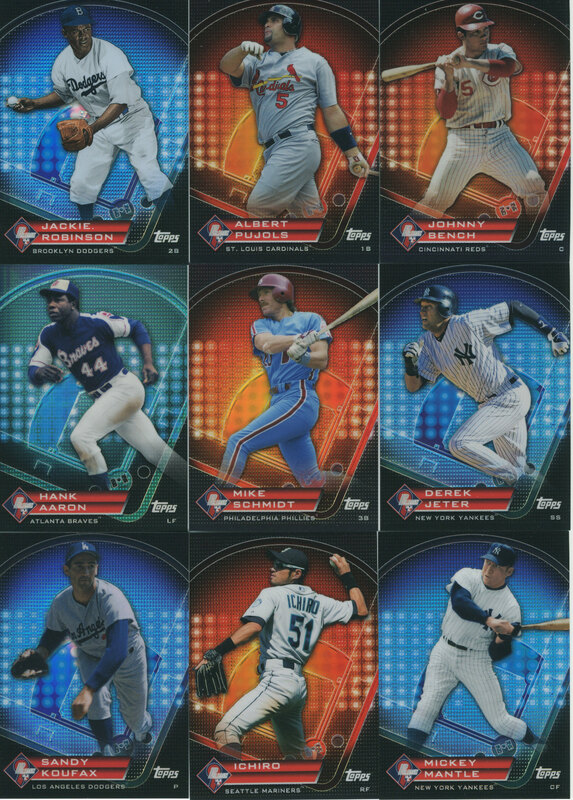 I think the blue cards look sharper than the red cards, but they are all nice. I honestly wish there were sets that mimicked some of Topps inserts sets, such as this. I think this design could be nice for a whole set, or at least as a nice insert set maybe next year. Do you guys like the design of this small redemption set/could you see it as a whole set? I agree that the blue cards are better than the red, and I certainly see the connection with Finest. Yeah, these have nice depth and dimension. Topps should move to quality over quantity in it's next batch of inserts. Though they make so many so more packs will sell.